Last night we decided to bring takeout home, which is not a common practice, I ended up with food poisoning so intense I was culred-up into a ball on our bedroom floor from 11:45 to 4:00 am. DF had been working in his study; when he finished and decided to call it an evening he was stunned to find me in that state. He was so compassionate, trying to rub my back and stroke my hair, but the pain became more intense. To make a long story short he stayed by my side till I fell asleep, and awoke with me at 7:00 am. 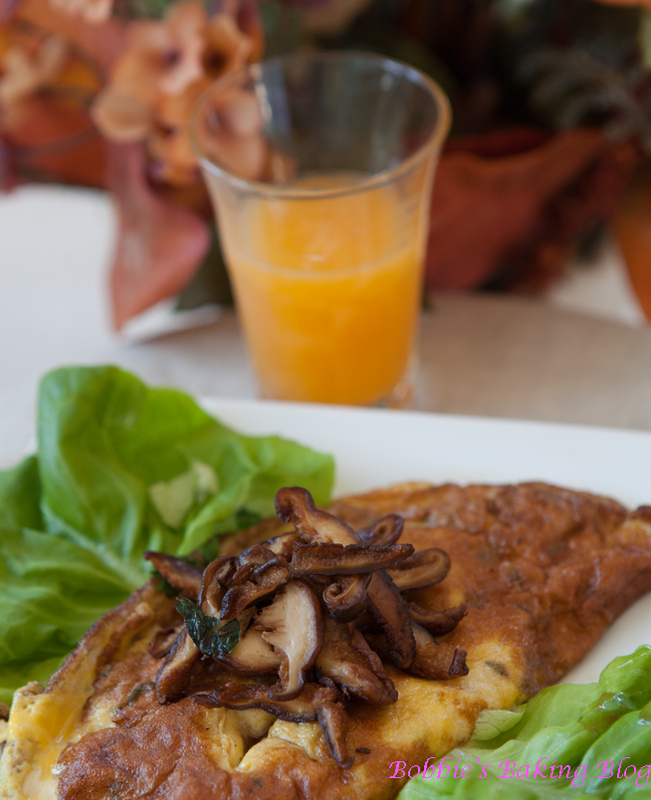 He had even prepared my coffee for me; I wanted show my gratitude, and I decided to prepare a thyme mushroom omelet for him. 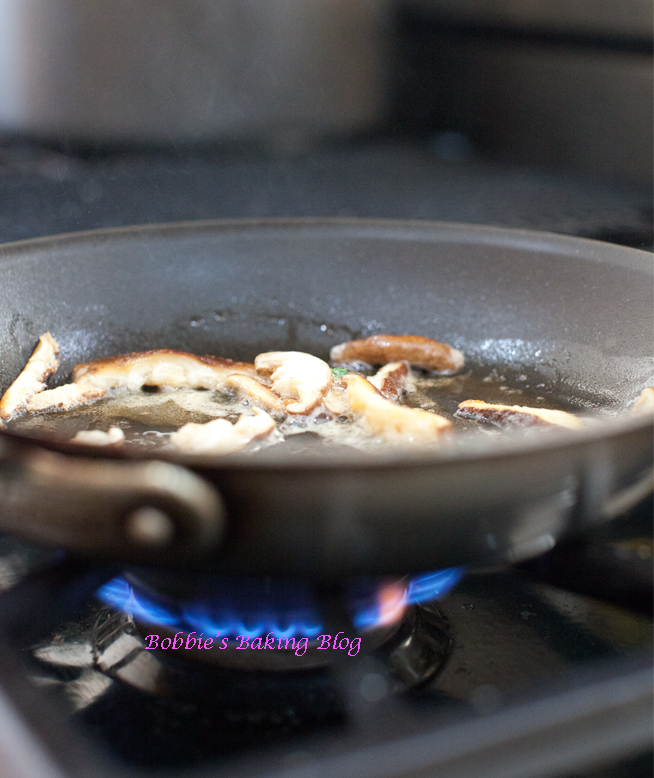 Heat 3 teaspoons of butter in a medium skillet on medium heat, scrub the shitake mushrooms with a mushroom brush or paper towel, and sauté for about 3 minutes until the mushrooms are browned. Remove from the skillet and set aside. 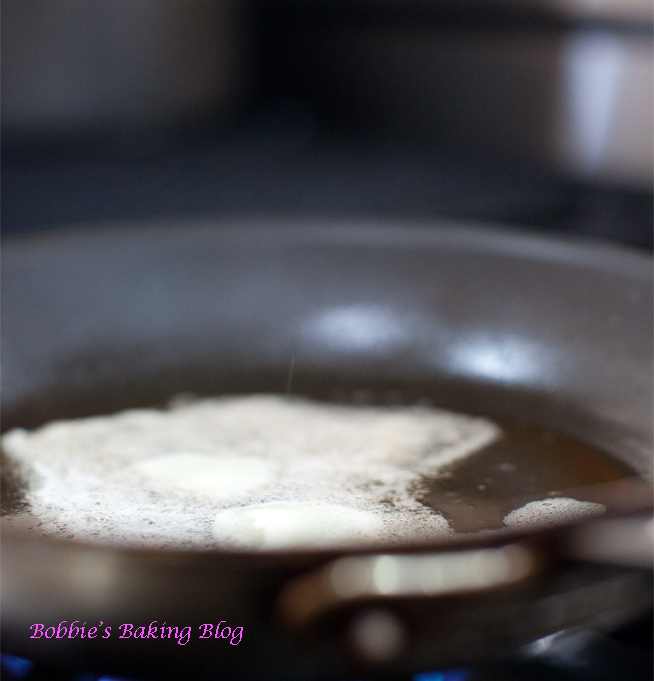 Wipe the skillet with a paper towel and add the beurre noisette, brown butter, over medium heat. Chop the fresh herbs: chives, thyme, and parsley. In a small wide bowl place each of the eggs, one at a time, with 1-Tablespoon of cream frâiche and whisk well. 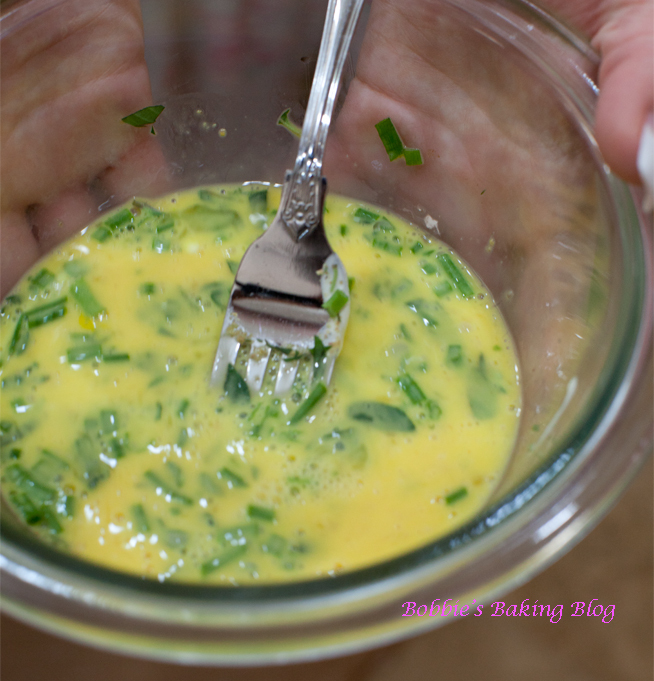 Add half of the chopped herbs, salt, pepper, vanilla, and cinnamon to the whisked eggs-crème frâche mixture. When the butter begins to spit and bubble pour the omelet mixture into the pan. Once the omelet looks 3/4 cooked sprinkle with the remaining fresh herbs, half of the mushrooms, and the diced Bocconcini balls. With a wide spatula, gently flip one side over the top. 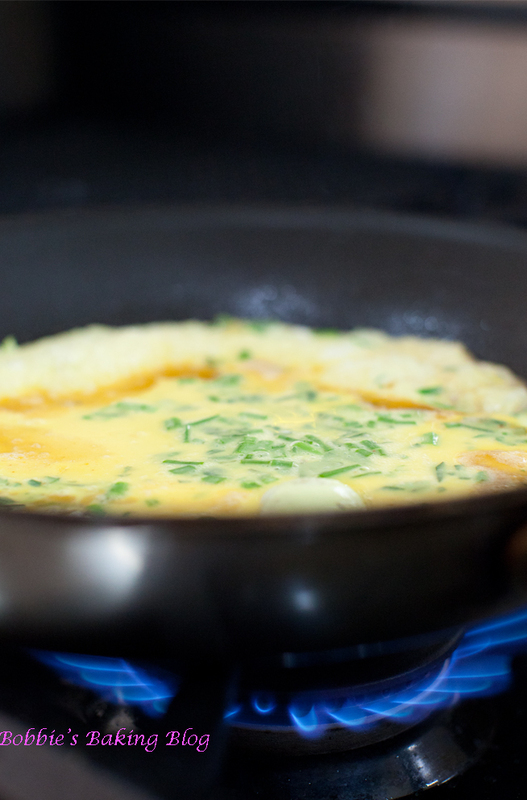 Wait about 1 to 2 minutes and flip the omelet to the opposite side, cook for an additional 30 seconds to 1 minute. 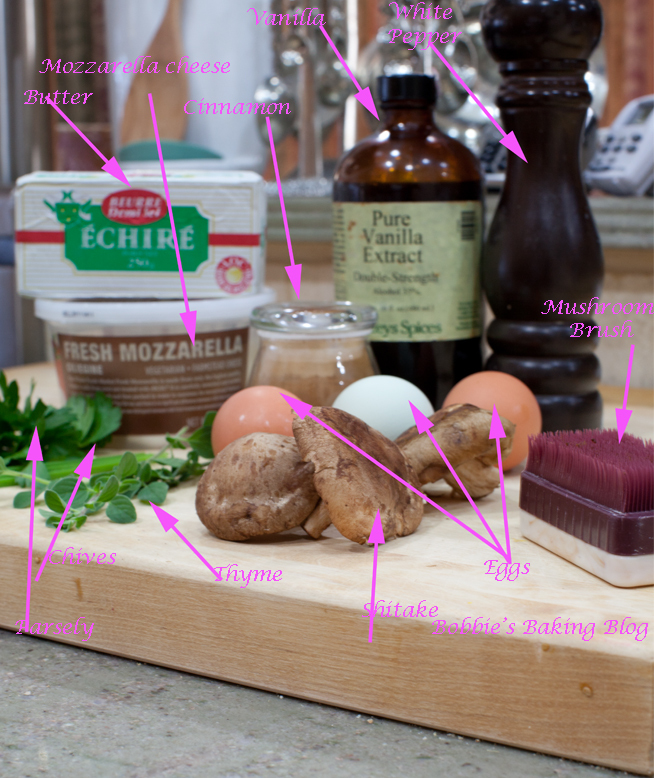 The cheese should be melted and the omelette will have a beautiful rich golden brown color. 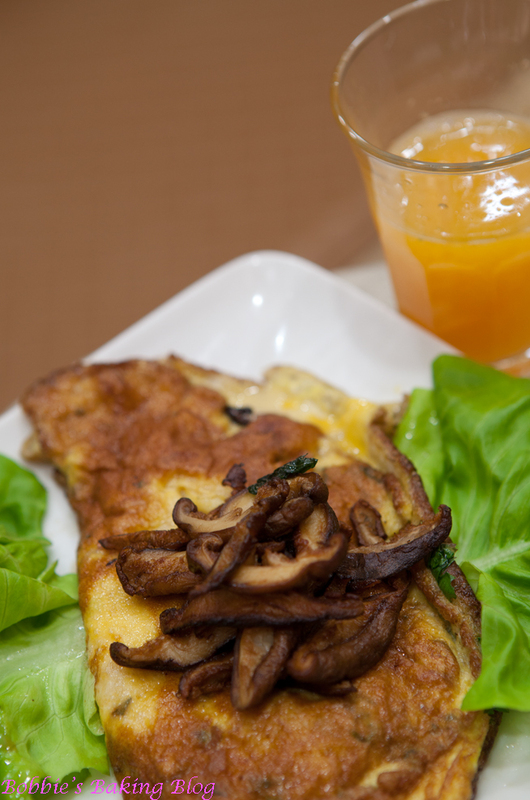 Top with the remaining mushrooms, serve warm with fresh squeezed juice and a cup of coffee. Haven’t treated my family and I to shitakes in s long time. This omelet is perfect for them. Hope you’re feeling better.